SVN | First Place Commercial Realty has implemented a proven brokerage performance model, continues to develop targeted marketing and technology tools, and has established a common culture to exhibit our core values in order to deliver the best results for our clients. SVN | First Place Commercial Realty is built on shared values of responsibility, fairness, collaboration and agility. SVN | First Place Commercial Realty advisors are contractually obligated and ethically committed to putting their client’s interests first by aggressively marketing to and cooperating with all brokers. All SVN | First Place Commercial Realty advisors are equipped with technology and communication systems that allow us to share opportunities and best practices with each other. 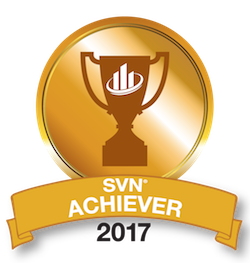 As part of SVN | First Place Commercial Realty, we have access to commercial real estate specialists across the country, in every market segment and industry. We can also utilize our in-house auction division, and comprehensive Asset Recovery Team for handling distressed properties. By maintaining a clear focus while growing, SVN | First Place Commercial Realty has built a well-connected company with a single-minded purpose: pursuing every opportunity to deliver the best result for our clients. SVN | First Place Commercial Realty offers the Ohio local presence, experience, and expertise to help assure the successful sale or lease of our listed properties. We are committed to using hard work and creativity, with high level, professional resources, in order to bring the best possible results for our clients. Our co-brokerage approach— accessing more brokers and more buyers — outperforms the industry and is the cornerstone of the SVN | First Place Commercial Realty difference. Creating maximum competition for each property translates to maximum value for our clients. The online integration of our local office with the national headquarters provides dynamic layers of extraordinary technology tools for exposing our listings in a high quality manner to the maximum number of prospects. Whether your property is for sale or lease – office, retail, industrial, multi-family, or land – each listing will be represented by cutting edge brochures, individual websites, and mass email distribution resources. Our clients benefit from award-winning technology, creative marketing programs, and total collaboration within SVN | First Place Commercial Realty’s Shared Value Network, which incorporates the entire commercial real estate industry.